At the request of several customers, we have implemented a “check-in”-type system for customers who record attendance at the front desk as students come in, rather than recording attendance by class all at once. You can use either method depending on what suits your needs. Enabling the check-in mode allows you to search by student within iClassPro and brings today’s class records to the forefront in order to quickly and easily mark them present or absent. 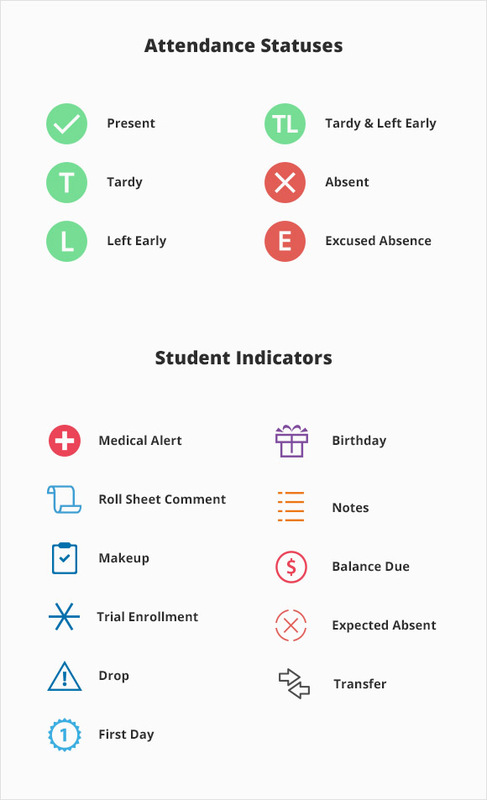 After marking the first student of a class/camp either present or absent, it automatically marks every other student within that class/camp absent until they are marked otherwise. The auto-absent feature only pertains to those who enable the Check-In System. 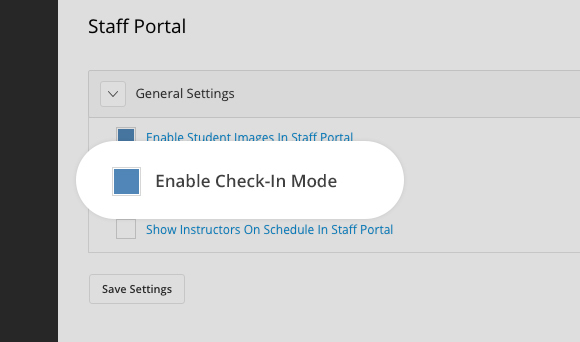 The icons on the staff portal were updated to be friendlier to color blind users, and also indicate more clearly when there is a “tardy” of “left early” modifier. 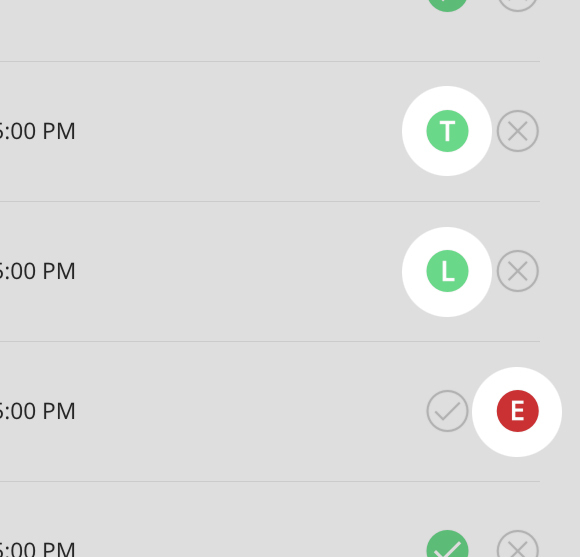 An indicator of “E” will stand for excused absence, “T” will stand for tardy and “L” will stand for left early. 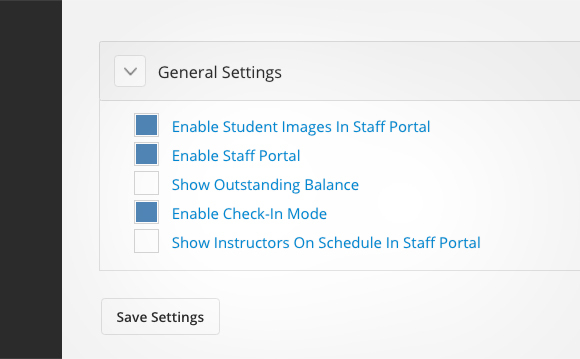 We have added a few extra options to Staff Portal settings since our launch. The option to show the Outstanding Balance Amount in the Staff Portal now hides the information if toggled off, or displays additional information if allowed by the user’s permissions. Added the ability to completely hide the Outstanding Balance icon in the Staff Portal. 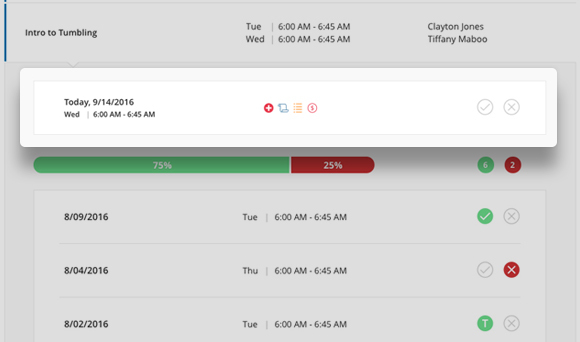 Added the ability to show instructors' names in class or camp list in the staff portal. Below is the Staff Portal icon legend for reference.